Home > Special Offers > Service & Parts > Get Alloy Wheels for Your Passat or Beetle! Get Alloy Wheels for Your Passat or Beetle! 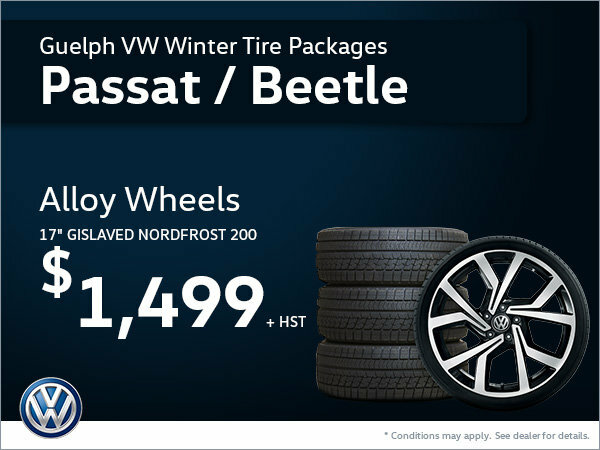 Get an Alloy Wheel Winter Tire Package at $1,499 for your Passat or Beetle! Nothing fits your vehicle like these 17" Gislaved Nordfrost 200 tires! Book your service appointment today! Conditions may apply. See dealer for details.